A tombstone for two sisters. 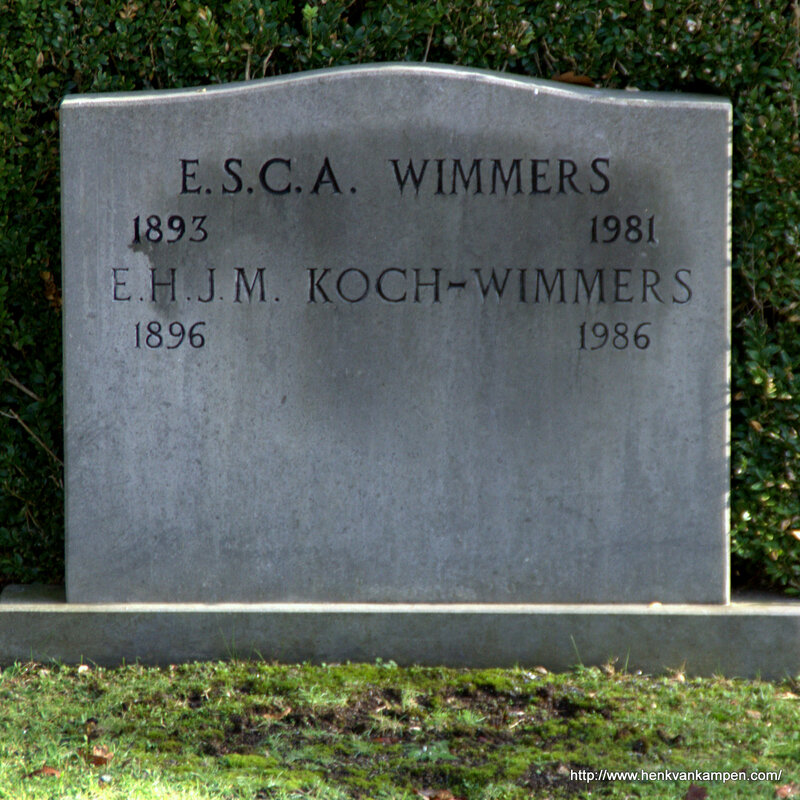 Elisabeth Sophia Charlotte Anna Wimmers was born on 13 April 1893, her sister Emilie Hendrika Jacoba Maria Wimmers on 23 October 1896, both in Utrecht. 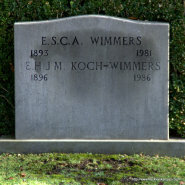 Their parents were Willem Jacob Adriaan Wimmers and Anna Dorette Elise Sophie Müller. Elisabeth Sophia Charlotte Anna Wimmers married Arnoldus Weeraat van Eck, son of Jan van Eck and Johanna Magdalena Francine Boulonois, on 27 December 1928 in De Bilt. They divorced in 1938. Emilie Hendrika Jacoba Maria Wimmers married Hendrik Koch, son of Hendrik Koch and Sophia ter Horst, on 20 July 1922 in Utrecht.